Benchmark indices ended marginally higher on Thursday led by gains in HDFC Bank, Larsen & Toubro (L&T), ITC, Axis Bank and RIL. The S&P BSE Sensex ended at 36,725, up 89 points while the broader Nifty50 index settled at 11,058, up 5 points. Among sectoral indices, the Nifty PSU Bank index ended 1.4 per cent higher with Punjab National Bank (PNB) and Bank of Baroda being the top gainers. The Nifty FMCG index, too, settled 0.6 per cent higher steered by ITC and Hindustan Unilever. 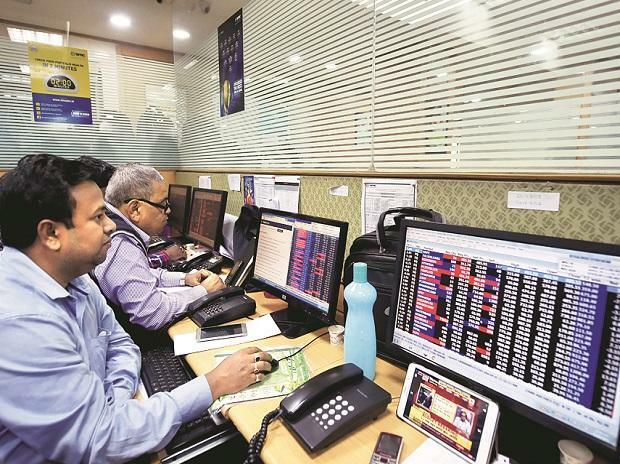 In the broader market, the S&P BSE MidCap index ended 50 points, or 0.34 per cent lower at 14,816, while S&P BSE SmallCap index settled at 14,540, down 16 points, or 0.11 per cent. Shares of Larsen & Toubro (L&T) rose 3 per cent at Rs 1,355 apiece on the BSE in the intra-day trade. In the past three days, the company has secured multiple orders including a large contract from Bangalore Metro Rail Corporation and construction of campus development of IIT Hyderabad. The stock ended at Rs 1,351, up 2.76 per cent on BSE. Shares of HeidelbergCement India hit a 52-week high of Rs 178 apiece, up 4 per cent on the BSE in the intra-day trade, on back of heavy volumes. The stock surpassed its previous high of Rs 175 recorded on September 11, 2018, on the BSE in the intra-day trade. The stock settled 3.02 per cent higher at Rs 175.70 on the BSE. Asian stocks were mixed Thursday as global growth concerns resurfaced and US equities fell back. The dollar steadied after six days of gains and the yen edged higher.